Isolectra Martin is the leading manufacturer and distributor of components for transformers. 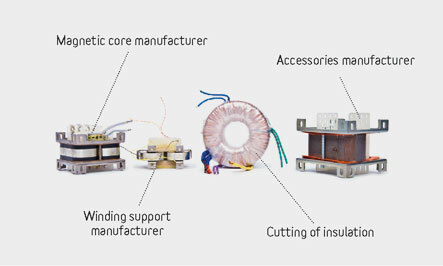 Isolectra Martin manufactures magnetic circuits (silicon iron and amorphous metal C Cores, E Cores and Tori) as well as winding carcases and accessories for transformers. The Company relies on its network of European partners and on the experience gained since its creation in 1956 in order to bring you an extensive range of magnetic components and elements for transformers. Standard dimensions or customised productions, Isolectra Martin adapts to meet your requirements. Isolectra Martin also offers technical advice and services such as epoxy coating, air gapping or bonding ferrite assemblies, cutting out insulation shapes, copper strips etc. 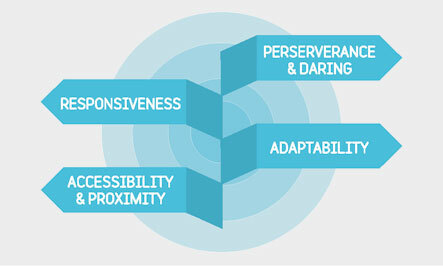 Isolectra Martin is keen to provide you with flexibility and satisfaction, offering you sustainable quality. With over 50 years of experience behind us, Isolectra Martin has a competent, specialised team at your service. 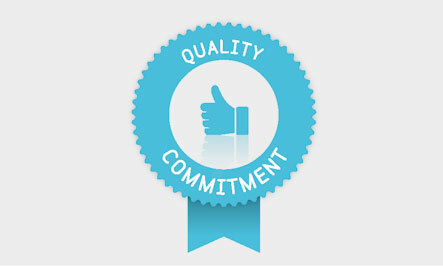 Supplying you with compliant, top-quality parts is an absolute priority for us.